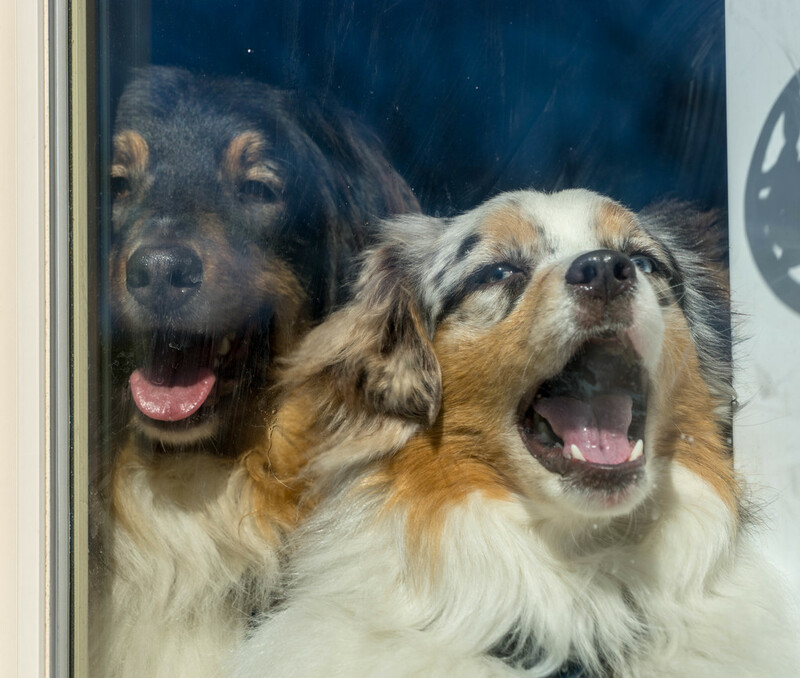 Mojo and Joker barking their heads off at the kitchen window when we left the house. I wonder how long before they stopped. Aww! What a sweet capture of their emotion! So funny! They are so pretty. Sweet. They probably stop the moment you are out of sight. Singing the song of their people! I can practically hear them from here!